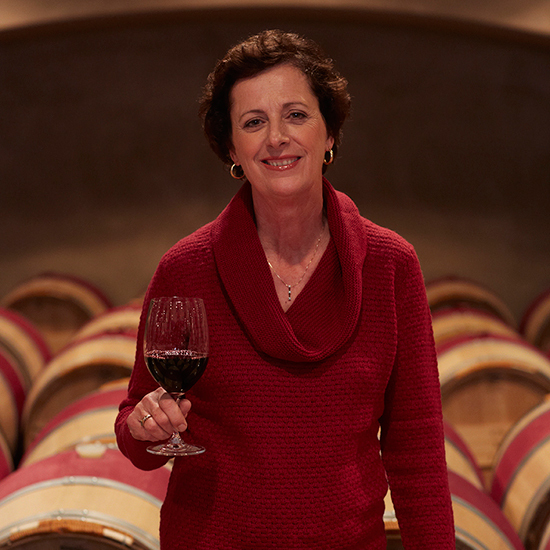 Here, Robert Mondavi Winery’s Geneviève Janssens tells how she turned errors into positives. F&W's #FOODWINEWOMEN series spotlights top women in food and drink in collaboration with Toklas Society. Follow the hashtag on Twitter (@foodandwine). Here, Robert Mondavi Winery’s Geneviève Janssens tells how she turned errors into positives. Mr. Mondavi taught me that there is no such thing as a mistake—only an alternate route to getting something right. Many of the techniques he pioneered at Robert Mondavi Winery had never been attempted in Napa Valley back then, in 1966, so there were many lessons he had to learn through trial and error. Always the perfectionist, he would tell everyone—from the cellar workers to the winemakers—that while they did they did their jobs well, they could still try harder. It was drilled into me that perfection is barely good enough. Sometimes that pursuit of perfection meant changing course with a blend or working with the viticulture team on trellising techniques. Mistakes were not frowned upon because so much of what we do is an experiment, and when something doesn’t go as planned…we take those results and alter them to make it work! Since I don't like the word “mistake,” here are a couple of the opportunities where I was challenged to do something differently. It was my first harvest as an intern at a winery in France, and I inadvertently added 10 times the allocated amount of [the wine additive] S02 to a small lot. I was mortified. My supervisor at the time took the opportunity to twist the error into a positive by showing me how to blend that batch with another to even out the SO2 level. I learned that when errors occur, it is our responsibility to turn them into positives by thinking outside of the box. There is always an optimistic way to think about a mistake, always a solution. It is our responsibility to ask an expert, to think differently, to solve the problem and to work hard. A lesson is never free, but it helps you get to the next level of expertise. Another challenge for me in the winemaking world is when I assume that people understand what I’m thinking. Sometimes I get really busy and forget that the people working with me can't read my mind. We have winemaking specifications that we revisit every year after harvest to make sure they're as accurate as possible. Then, before the next year’s harvest, we have a pre-harvest meeting with the whole team, and we check them again. We don't want to assume that all the details have been mastered and that the production team will remember them all.